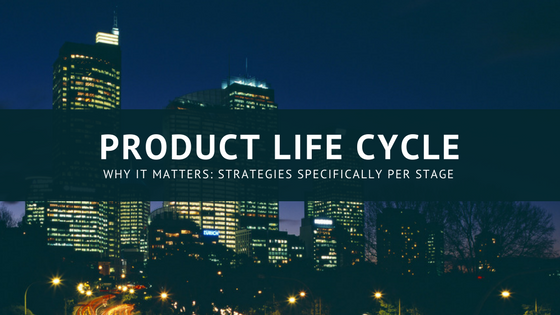 A well-known concept is Product Life Cycle (PLC). 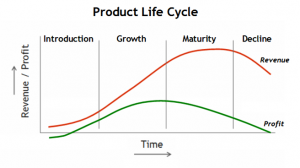 Though many may be familiar with the PLC concept and certainly agree that there are cycles to all products, many may not realize that there are specific marketing strategies needed for each stage, including marketing strategies unique to each stage of adoption of a product, called the diffusion curve. What does this mean to you and having the right marketing plan for each stage? Growth stage-Promotion strategy switches from primary demand promotion to aggressive brand advertising and communication of the differences between product/service and competitor offerings. Marketing strategies focus on geographic and demographic expansion of awareness of the product/service. Maturity stage- Promotion strategy focuses on clearly distinguishing the product and service from competitors and slight revisions to how the product/service is presented can help to re-fresh the appeal. The promotions should focus on loyalty creation and then retaining loyal consumers through incentives focused on full-time adoption and continued use of the product/service. Also, if complimentary products can be introduced or packaged with the initial product or service, extra life can often be added to the maturity stage. Pricing may be dropped to try to offset the maturing market and “spur” new interest. Decline stage-Promotion strategy, actually is not a harder push, but often includes reducing marketing expenditures all together for a product or service in this category. …BUT what if this is your entire business or a product/service in this stage? You do not want to see it “die”! Strategies to “revive” a product or service requires creativeness to either re-invent the product or service so it appears “new” and “fresh” or simply requires a strong evaluation of how the product/service ended in the decline stage to determine its weaknesses that must be overcome. Face it, if the product or service is dropping significantly in appeal, then somehow it is not meeting consumer needs. Find out what the consumer needs are and redesign, realign to meet those needs, and market the “new” reason / adjustments made that shows why the product / service now “fits” again.